Welcome to the second installment of QueueItUp, where I will help guide you through all of the hidden gems and new releases available on your various streaming devices. Today, we continue our Halloween Netflix coverage. Last week we brought you /10-halloween-horror-movies-streaming-now-on-netflix/10 Halloween Horror Movies (i.e. movies that dealt specifically with the holiday season at hand) now streaming on Netflix. Today, we bring you 13 Classic Horror Movies that are all available at the push of a button. A couple of quick notes before we get started: This column was launched to help stream hungry hunters like myself discover weird, uncharted and mostly unwatched movies. I'm meticulously going through allotted Queues so you don't have to. A lot of these movies won't even have reviews on Rotten Tomatoes (so don't bring it up), and they might not be great on an academic level. But if I like it, I'm going to tell you about it! Basically, I'm writing this for people like myself, who want to find buried treasure! Secondly, these are movies that are AVAILABLE on the streaming device in question right now. 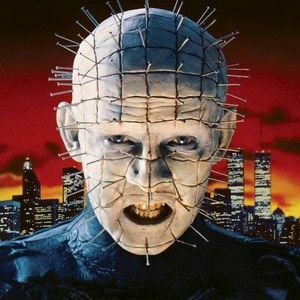 So, when I put Halloween: The Curse of Michael Myers in the list, its not because I think it's the best Halloween movie...Its because none of the other sequels are currently streaming! Make sense? I hope so. Now, on with the show. Here are 13 Classic Horror Movies that you can watch right now if you are a bonafide Netflix member (or, you can rent them on VUDU). It's time to really start feeling Halloween up in this code house of horrors! "What have they done to its eyes?" Rosemary Woodhouse (Mia Farrow), the young wife of a struggling actor (John Cassavetes), is thrilled to find out she's pregnant in this Roman Polanski thriller. But the larger her belly grows, the more certain she becomes that her unborn child is in serious danger. It turns out that a group of Satan worshipers, lead by the late, great Ruth Gordon, is harvesting a baby devil inside her guts! You will feel as though you lived through the terror, as the movie slowly, but surely creeps up on one of the greatest reveals of all time. Forty-five years later, Rosemary's harrowing birth is still scaring newly expectant parents into the abortion clinic. Sure, there are plenty more classic horror movies on Netflix. Tell us what we missed and what you're watching. Next week, we're going to run down the list of available creature features, and then right before Halloween, we'll wrap it all up with a look at the spooky animated movies playing inside your streaming device of choice. Until next week, have a happy haint holiday! And don't forget to perform your rituals and exorcisms before you go to sleep. In this case, maybe you DO want the bed bugs to bite. Whatever, I'm leaving.